New find and is being documented in the current numismatic book I’m writing. 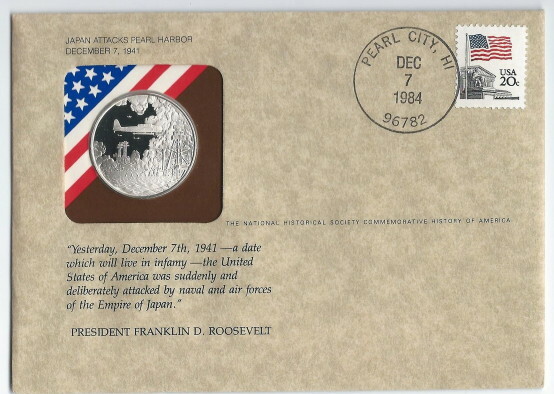 This medal was issued by the Franklin Mint on a commemorative cover postmarked 1984, however the medal’s edge has a year “86” with the standard Franklin Mint hallmark symbols (reverse bottom also displays the Franklin Mint’s stylized F). Front of postal cover image is also provided for identification. 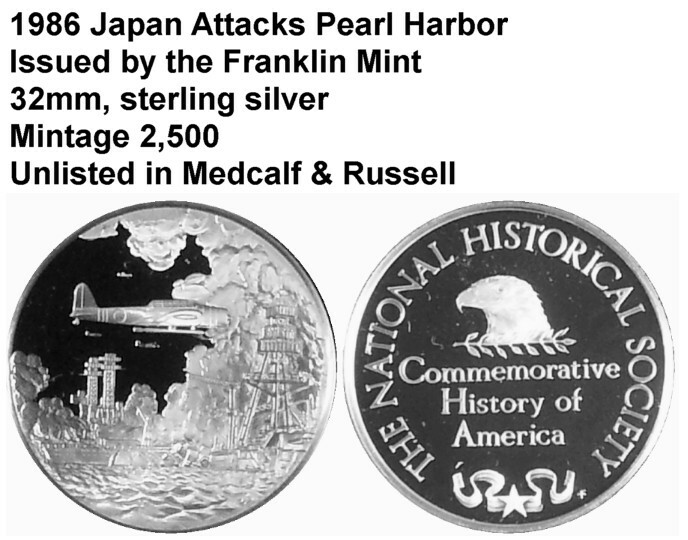 Note that Medcalf & Russel 2nd Edition was published in 1991 and this 1986 medal was not listed in the book.